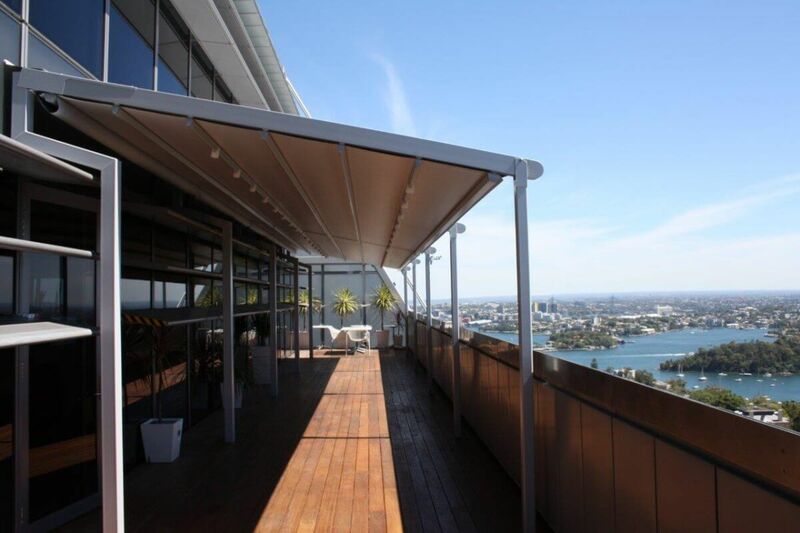 Sunteca and Helioscreen Awnings are in line with the trend towards increasingly larger windows and terraces, there is growing demand for more opulent formats in sun/wind and privacy protection. In order to achieve ideal results, it is vitally important to choose the right sun protection material in regard to its application area, energy efficiency, anti-dazzle protection and visual comfort. The Soltis sun protection material from Serge Ferrari fully complies with these requirements. Sunteca and Helioscreen together have the right solution for all your privacy and sun protection requirements. The main advantage of Soltis by Serge Ferrari is its high dimensional stability since the special manufacturing process, i.e. Précontraint technology, ensures that the material does not warp either during and after installation, this fabric is ideal for all types of Retractable Awnings. Another advantage is that there is no need for edge reinforcements for interior or exterior Awning systems. Roll widths of 267 centimetres with Soltis materials also make it possible to produce a sun protection system without any seams or welded joints. Large Folding Arm and Conservatory awnings, for example, can therefore also be installed with a high-quality, homogeneous appearance. Of course, it is also important with large sun protection systems that the material contains enough safety reserves to cope with high tensions and wind loads. Soltis 92, the best-selling product from Sunteca, impresses here with a tearing strength of 310/210 daN/5cm (warp/woof), which corresponds to a resistance of 6.2 t/m in the warp direction and 4.2 t/m in the woof direction. The coating thickness of Soltis is also highly resistant: this is often twice as high as in other materials. Since the support fabric is therefore better protected, the materials are very durable and guarantee better evenness and a smaller material thickness. This also makes rolling up easier, which is important especially with large areas. Consequently, the cassettes can be kept very compact and can be better integrated into the façade. 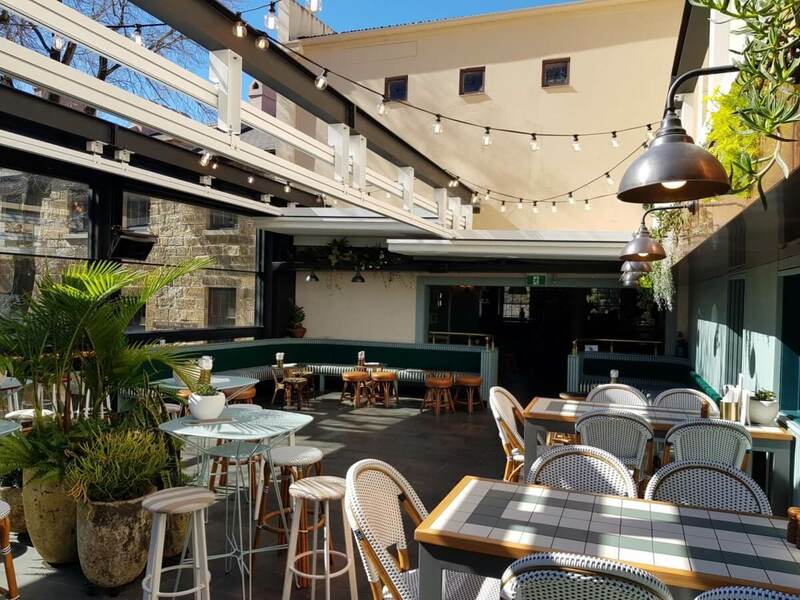 Sunteca’s Soltis product range also contains fabrics, which are suitable for use as a canopy while simultaneously offering protection against weather effects. Soltis W96 was developed especially for this purpose. Whereas it acts as a highly effective heat shield against strong direct sunlight, it provides adequate rain protection during poor weather conditions. You can therefore sit on the terrace even during light rain showers. 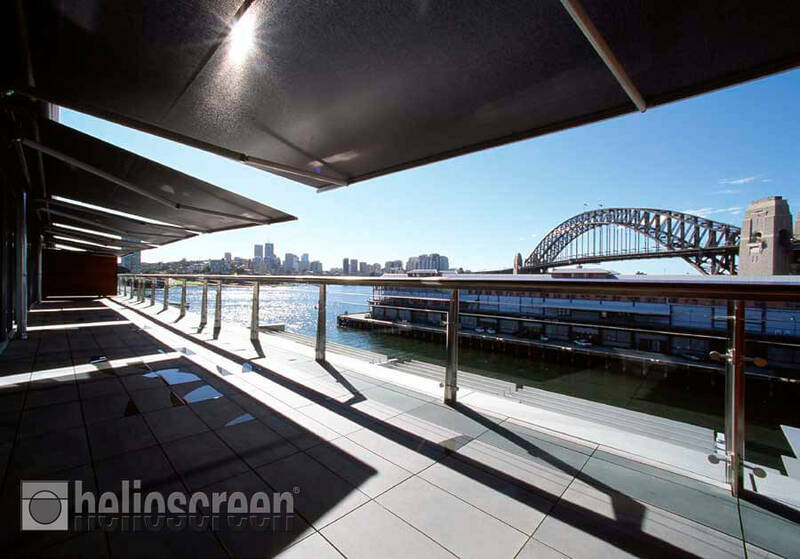 Soltis W96 is therefore highly suitable for rainproof sun sails, terrace coverings or pergola canopies. Overall, Sunteca and Helioscreen always focus on the aspect of sustainability with the Soltis sun protection materials: in addition to full conformity of the utilised raw materials, the materials are also impressive on account of Greenguard certification which ensures healthy room air. A large number of Soltis materials are actually certified with the highest distinction, i.e. Greenguard Gold, which even allows use in educational institutions and buildings in the health care system. Soltis materials can also be fully recycled by means of the in-house recycling process called Texyloop.